Rugged, yet thin, lightweight and flexible—the use of Watlow® silicone rubber heaters is limited only by the imagination. With these heaters, heat can be placed where it is needed. In the application process these heaters improve heat transfer, speed warm ups and decrease wattage requirements. Fiberglass-reinforced silicone rubber gives the heater dimensional stability without sacrificing flexibility. Because very little material separates the element from the part, heat transfer is rapid and efficient. 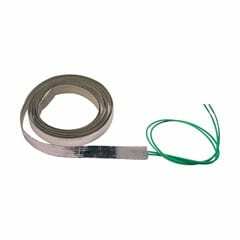 The heaters are constructed with a wire-wound element or an etched foil element. The heater construction creates a very thin heater allowing it to fit applications where space is limited. 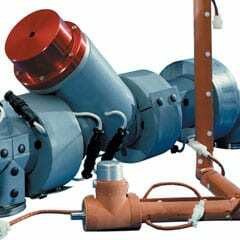 Watlow’s gas line heaters are designed to regulate temperatures in gas lines in order to prevent condensation in the gas line. Tetraethyl orthosilicate (TEOS), Boron trichloride (BCl3), Aluminum Chloride (AlCl3), Chlorine trifluoride (ClF3) and Dichlorosilane (DCS) are gases that condense or liquefy due to a phase shift at low temperatures. In semiconductor processes the condensation occurs in the gas line and puddles in the shower head before being injected into the vacuum chamber. A substantial number of wafer defects will occur if liquefied gases are injected into the vacuum chamber. Uniform heating of the lines with gas line heaters will prevent condensation. TEOS lines are typically heated above 194°F (90°C) and BCl3 above 86°F (30°C), depending on pressure and flow rate. The optimum line temperature will vary depending on the process parameters. Polyimide is a thin, lightweight organic polymer film which provides excellent tensile strength, tear resistance and dimensional stability. This heater is ideal for applications requiring low outgassing in a vacuum, or resistance to radiation, fungus and chemicals. Polyimide is also solvent resistant. Tempco’s Flexible Heaters are capable of operating with excellent performance under many adverse conditions, including: moisture, outdoor exposure or ambient temperatures, radiation, ozone, compression set, vacuum, fungus, oils, solvents, and many other chemicals. 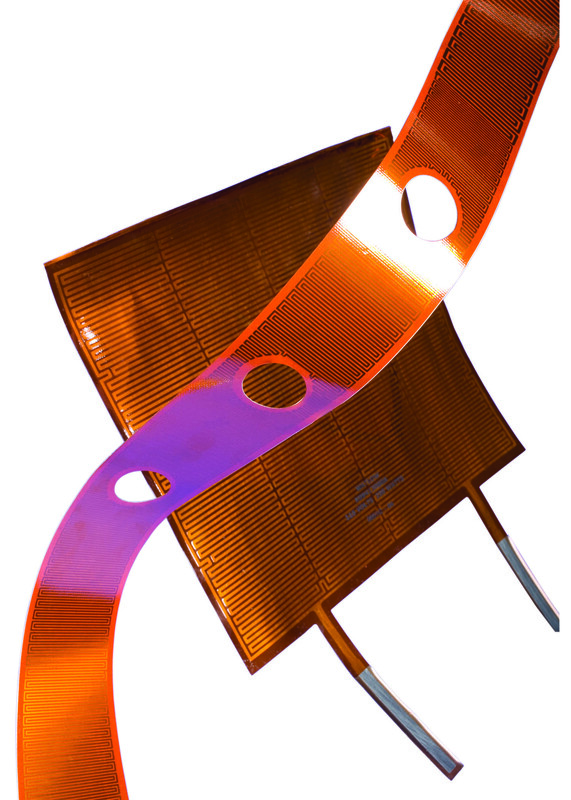 We provide high temperature, flexible electric heating elements. They were developed to offer the unique convenience of wrap-on heat for tubing, laboratory apparatus or any dry environment application where flexible surface spot heat is required. Heating tapes are offered in many standard sizes, having watt densities from 3.25 to 13 watts per square inch, and temperature ratings to 1400°F (760°C). The same proven internal design of all Duo-Tapes® of knitted Amox yarn over serpentined resistance is used. The heavy silicone rubber extruded outer cover provides abrasion and dielectric protection for the heating element. Silicone Rubber Duo-Tapes may be used on conductive surfaces, and in applications where moisture, chemical and abrasion resistance is required. All electrical resistance elements create heat, but some systems are better at transferring this energy. 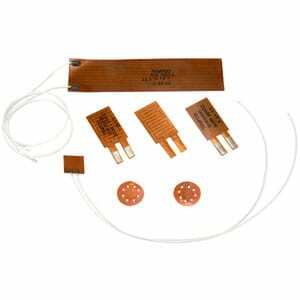 The secret to this heating tape is in its thermally conductive adhesive and its outer reflective sheath. The adhesive surrounds the resistance wire and transfers the thermal energy directly to the surface of the load. The resistance wire itself has a back and forth kink that acts as a spring to absorb expansion and contraction. The outer aluminum sheath spreads heat evenly over the entire surface of the tape and also reflects heat back onto the load. The end result is a highly efficient heating source with maximum heat being transferred to the desired material.